RSPB Lake Vyrnwy Visitor Centre at RSPB Lake Vyrnwy Nature Reserve01691 870278work Visitor CentreThe RSPB welcomes you to our shop by the dam, with its wide range of gifts and books, from where you can access nature trails and information about the surrounding countryside. It is also the main starting point for our schedule of events and guided walks that cater for birdwatching beginners, families and the more active walker and birdwatcher. 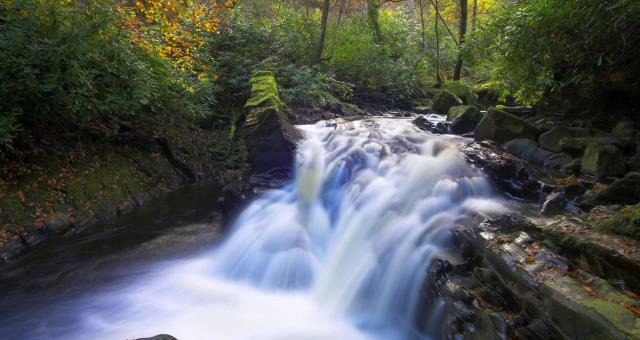 The RSPB Lake Vyrnwy nature reserve with its variety of different habitats is an ideal base for a school visit. 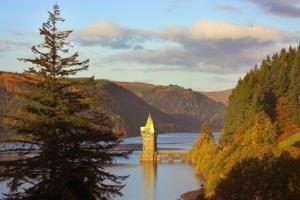 Lying above the beautiful reservoir of Lake Vyrnwy are thousands of hectares of heather moorland, meadow and woodland, crossed by rocky streams and dotted with crags. The RSPB, in partnership with Severn Trent Water, manages part of the reserve as the largest organic farm in England and Wales. You may see great crested grebes and goosanders on the water, dippers by the streams and ravens, buzzards and even a peregrine, soaring overhead. Teaching in Welsh and English is available at all times. You can visit any weekday during the term. Half-day or full-day sessions are available. Please contact the field teacher for details. All the equipment needed is provided except pens and pencils. Each child should bring waterproofs and sturdy footwear, plus a sunhat and sun cream. From Llanfyllin, take the B4393 to Llanwddyn. Continue along the B4393 to Llanwddyn by taking a right turn. At the dam, turn left, then left at the end of the dam. The RSPB sjhop and visitor centre is on the right.